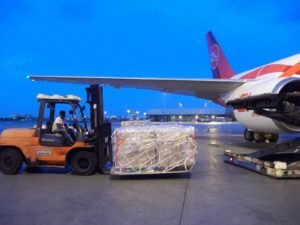 MIAMI, Fla. – U.S.-based air cargo carrier 21 Air has suspended flights to Venezuela after media reports suggested the company was involved in smuggling arms into the South American country. According to the media reports,the company operated numerous flights from Miami to the international airport in Valencia, Venezuela in the first week of February. The cargo was alleged to be assault weapons which Venezuelan authorities claimed were intended to aid in the overthrow of Nicolas Maduro. 21 Air says the aircraft, N881YV, was a charter flight for an indirect air carrier, who also has a Transportation Security Administration of the United States of America (TSA) approved security program and had full control of all cargo on board. The cargo carrier says it has also successfully fulfilled the requirements of cargo screening as stated in the Venezuelan issued landing permit and has not received any formal notification from the Venezuelan government regarding any irregular shipments to the country. 21 Air has discontinued all flights into Venezuela “until the situation is clarified to ensure the safety and security of our crews and assets,” the statement continued. The company says it is open to collaborating with all national and international authorities to come to a resolution of the issue. 21 Air is based in North Carolina and was created in February 2014. The airline has been authorized to conduct interstate and foreign air transportation of property and mail operating Boeing 767 all cargo aircraft.